Playing cards have never been so fun and so easy to use! 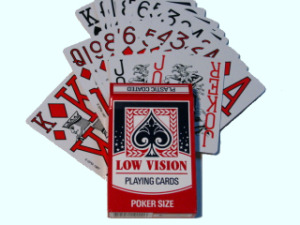 The Low Vision Cards make card games enjoyable again. 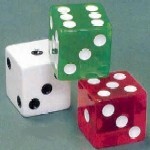 The large print and bold colors ensure a stress free game because the cards can easily be read. The card dimensions are the same as standard cards, so regular card shufflers and storage units will work perfectly. Needing the perfect gift for the card player in your life? Check out our other fabulous card accessories listed to the right.